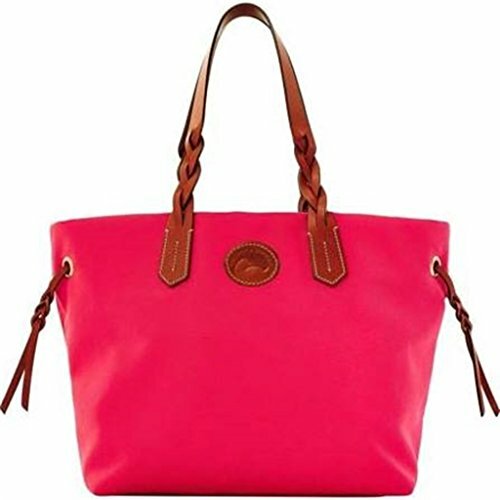 Fashion Dooney & Bourke Nylon Shopper + Free Item | Accessorising - Brand Name / Designer Handbags For Carry & Wear... Share If You Care! Hot Pink Nylon (Canvas) Shopper With Leather Trim and Decorative Braided Ties and Strap. Interior Fabric Lined with Utility Pockets and Key Clip, Snap Top Closure, 10″ Strap Drop. 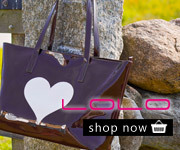 Durable Tote that can hold plenty, even small electronics. Dimensions are 17″ Across Top, Tapers to 12.5″ Bottom, 11.5″ High by 6″ Deep. SIMPLY HOT!! Fully Lined with utility pockets & key clip.